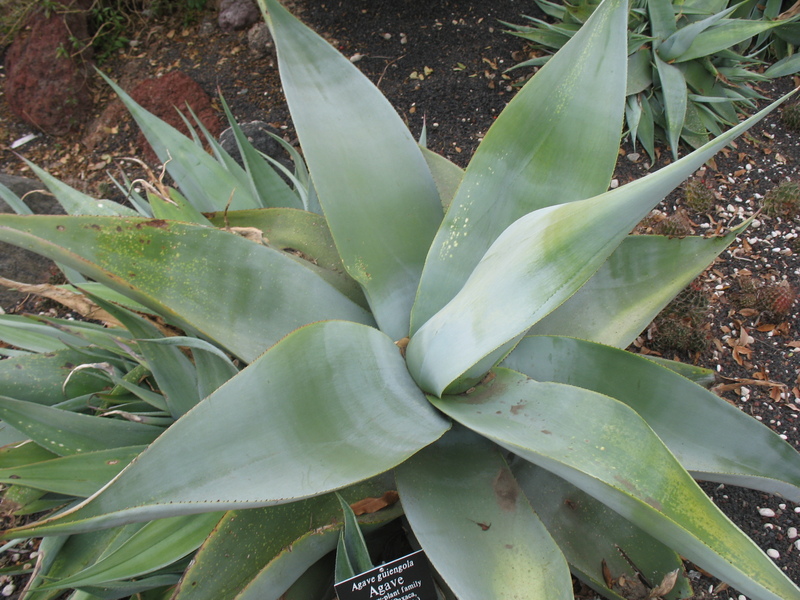 Comments: This Agave produces open rosettes of massively thick, white-green leaves that are very broad at the base and taper to a point with sharp spines. Dark colored teeth are along the leaf margins. Makes an excellent accent plant for a large raised planter. Agaves bloom very infrequently.